I thought I would do this post to give a few tips to the people who are starting up with photography like me. I have always had an interest in photography as my dad has always enjoyed it and has showed me his own tips over time. I will let you know about these and give some advice of what I have found since I have started taking photos with a proper camera. The camera I own and have used for all these photos is a Fuji S100FS. It's a bridge camera but is the same size and has nearly all the functions of an SLR, such as complete manual override settings. These are a couple of photos I took in Newcastle down at the quayside. The key for taking these kind of photos at night is to have a longer shutter speed so that the camera can capture more light. Because of this the camera needs to be more stable. These were taken without a tripod but I lent on the railings to balance myself. I know you might be thinking tripods are far too expensive, and so did I until I started looking for one. I purchased this tripod for £12 and I would highly recommend it for the price. Taking photos of animals can be quite tricky sometimes depending of what you are taking. One of the techniques I used was to change the colour setting to black and white for the Zebras to really make their unique colour pattern stand out. 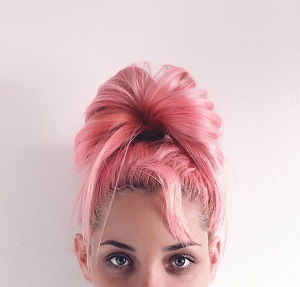 This can be done on most cameras and can make for an impressive photo. When taking the Panda photo it was through glass, which often happens when going to a zoo. My advice for this is to take the photo at an angle and also make sure no reflections because then its hard to tell the picture is through glass. The one key thing to remember is not to use flash when taking photos through glass because this will bounce straight back off the glass and ruin the photo. The Meerkat photo was a little more tricky to get because they move so quick! My tip here is to set a very fast shutter speed, sometimes there will be a specific setting for this so have a check on your camera. This will allow you to get the photo without it being blurry as they move. This photo was taken for my girlfriend Laura for her blog so she could do outfit of the day posts. If you are taking these kinds of photos it is often nice to take them outside somewhere with a nice background to make the photo look better. I took it with Laura leaning of the bridge to give it another feature in the photo. 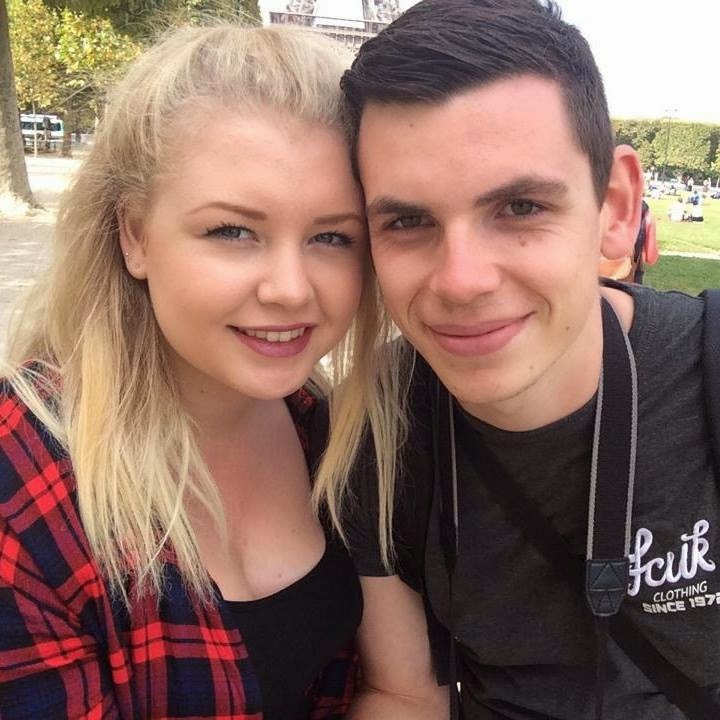 The second photo was taken in Paris by the Louvre which gives a really nice background to the photo. In this photo a slightly higher f number is used to make Laura at the front of photo in focus as well as the background. This was taken in Jesmond Dene in Newcastle which isn't far out from the centre at all. This is the small waterfall along the river which are good features if you want to capture water movement. I was stood on a bridge to take this which was useful to lean on and balance while taking the photo because I didn't have my tripod at this point. I set a longer shutter speed here so the lens could capture the water movement enough to give it the 'milky' effect you can see. The longer the shutter speed the more milky it will be but this is when you probably will need a tripod. I took these when the Tour de France came through Sheffield at the start of the tour. For the first photo I took a telephoto shot looking down at all the riders. A tip for doing this is to focus on the point where the subject of the photo will be and wait for the it to come into this point. So for the first photo of all the riders I focused on the ground where they I wanted to take the photo and then took it as the riders crossed this point. The second photo was taken very close up as one of the riders passed me. To get this movement effect I focused on the rider further down and panned with the rider as he came past me and took it when he was nearly level with me. This is how to get the effect of movement with the subject in focus and the background blurry. Taking pictures of fireworks can often be tricky as you might end up with blurry photos because the camera has to open up the lens to let more light in. To help with this problem, you can change the ISO setting to a higher number. This will help when taking photos in the dark. This can make the photo a little 'grainy' but it allows to get a photo of things at night. Either a tripod or something to lean on will also help here. I also used a bit of the foreground when taking the photo because this means it will help to balance out the light in the photo. This was taken on the shore in Majorca look back across a small beach area. When taking a wide angle shot with a lot of distance between the front of the photo and the far part of the photo the aperture setting needs changing to a higher f number. 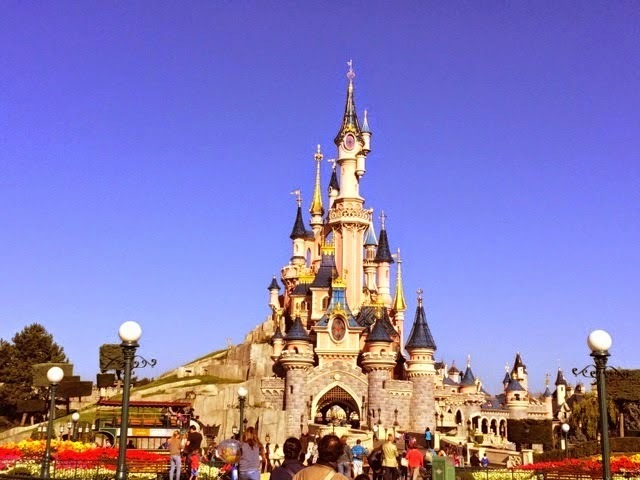 The brightness of the photo can also be adjusted so that one part of the photo doesn't affect another part. This is why it is possible to see the detail of rocks below the water at the front of the shot and detail on the top of the hill at the back. 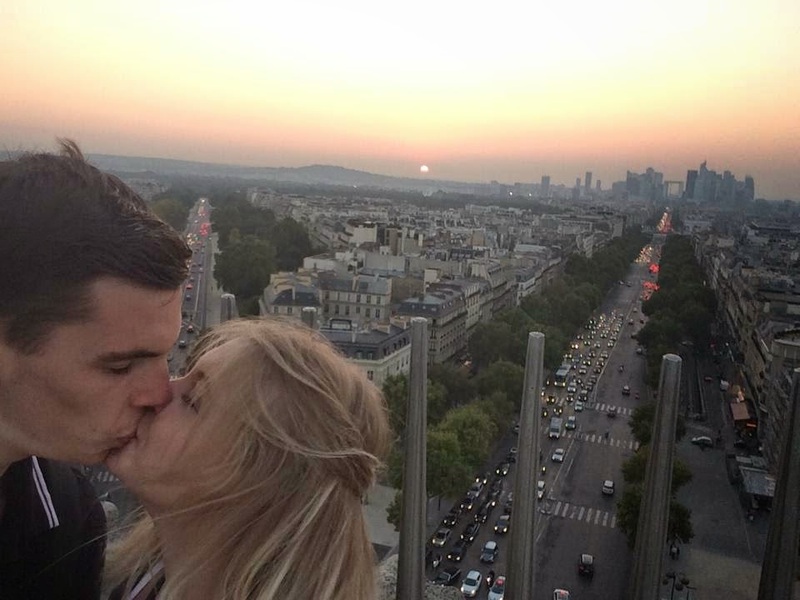 The second photo was taken from the top of the Arc de Triomphe just as the sun is setting. To get the sunset in shot without it turning the rest of the photo dark, be sure not to focus around the sun. You can also adjust the brightness to make sure all parts of the photo are correctly shown up. When taking photos of big landmarks I find its a good idea to include other features in the photo to make the photo more interesting. For the photo of Notre Dame I took it so it was off centre and also included the bridge and the river going to the left. Also try to balance what is in the photo at the top and the bottom of the photo so there isn't loads of space in one area. For the Tour de Eiffel photo I did the same thing by offsetting the Eiffel Tower and capturing a view of the rest of the city. A tip for taking these kinds of photos is to focus on the subject in the photo (in this case the Eiffel Tower) and while still focusing, move the camera to offset the subject and include more background. This will then keep the subject in focus while allowing it not to be right in the centre of the photo. I hope these tips have helped, I have tried to show a range of photo types to help you if you aren't sure when taking pictures. If you have any questions comment down below or tweet me @andymsmithblog. So this is the final episode of this year so this mid season finale was going to have some drama! So at the end of the last episode we saw Sasha being kicked into the window and knocked out by Officer Lamson which he then makes his escape. This episode carries on from this point with him running while his hands are still tied. He manages to run outside but is soon chased down by Rick in the police car who is telling him to stop which Lamson doesn't do. This ends badly for him as Rick hits him with the cruiser breaking Lamson's back and is then executed with a shot to the head from Rick. 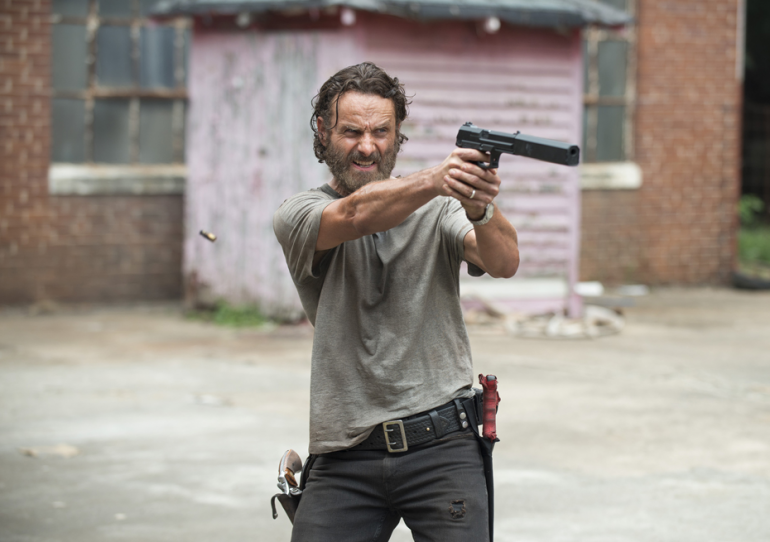 Now Rick means serious business and will not take being stabbed in the back. Gabriel comes across Bob's burnt leg now crawling with maggots from when the Terminus (now dead) group were here. He is then forced into the trees as walkers escape from the building he is next to. 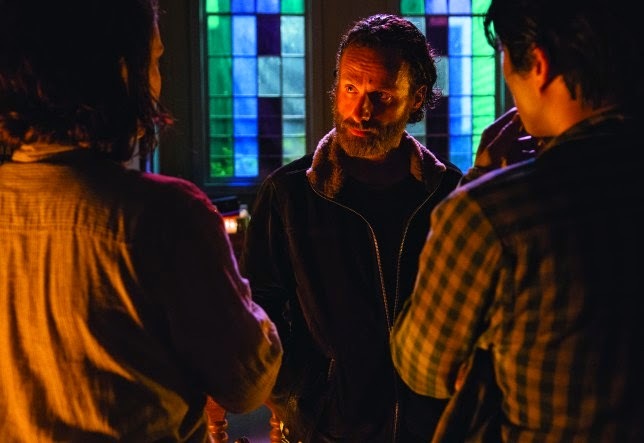 Gabriel flees back to the Church that he had previously escaped from and tries to get back in but is trapped outside the front doors, until Michonne breaks down the door from the inside. They are all forced to the back room and then escape the same way that Gabriel also used. Beth is still being forced to clean in the hospital, but starts to ask questions about a photo that Dawn has in her office and she is told that respect is the key to being a good officer, which raises some suspicions with Beth. Michonne, Carl and Gabriel are about to be attacked by the walkers trying to escape from the church until Abraham blocks the entrance with the fire truck he and the others turn up in. Maggie finds out that Beth is still alive in the hospital and is obviously happy about this news. Switching back to Beth, she is upset at the fact that some of the officers in the hospital are dealing out unfair treatment of some patients which Dawn appears to ignore. Dawn comes back by saying she is the one that is protecting Beth and reminds her that she kept quiet Beth's involvement in her colleagues death. Another one of her officers comes down the corridor and threatens to reveal the secret about Beth's behaviour. He and Dawn end up scrapping and he is forced back, off balance in front of the lift shaft, which Dawn calls out for Beth's help to which she pushes him down the open shaft. Back over to Rick's group and they have set up so they can talk to two of Dawn's collegues. Daryl, Tyreese a Sasha provide over-watch from the rooftop with the officers in the sights of their rifles. Rick converses the plan for the exchange and asks for the officers to contact Dawn. The exchange is now on! 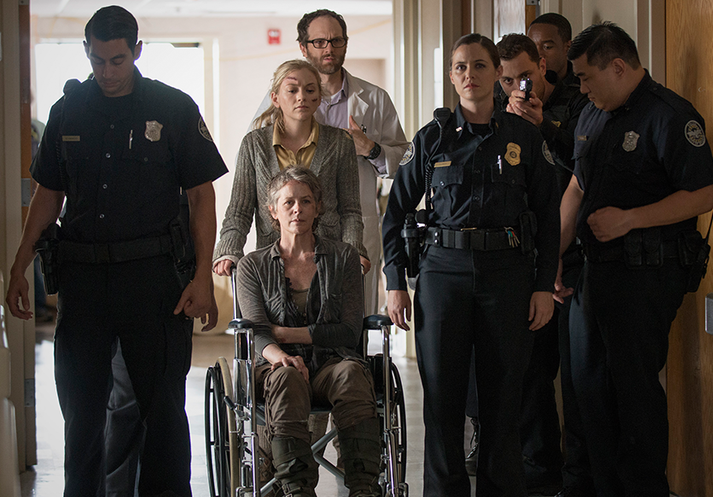 Beth, pushing Carol in a wheelchair are walked down to one end of the corridor guarded by the officers. Unknown to the officers, Beth has hidden a pair of scissors on her person, what does she intend to do with these? Rick's group bring in the two captured officers for the exchange and both groups lower their weapons. Firstly Carol is swapped for one officer to gain each others trust. Now Beth is walked forward by Dawn to exchange. Dawn has also demanded the return of Noah which after arguments, he volunteers himself to return to the hospital to prevent further confrontation. Beth then turns to Dawn and says "I get it now" shortly before stabbing the pair of scissors into Dawn shoulder. 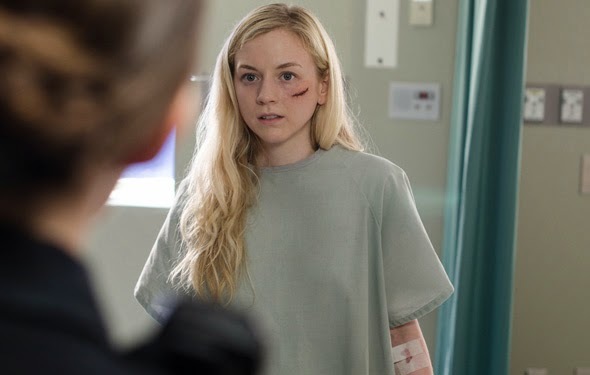 Either out of surprise or intent, Dawn then shoots Beth in the head, which seems like she had planned to kill Beth all along. Not a second later and Daryl has put a bullet through Dawn's head and guns are raised on both sides. An officer calls out for calm as no one else should have to die. Understandably Rick's group are deeply upset at the Beth's unexpected death, yet still lower their weapons followed by the officers. Rick and his group turn and head out of the hospital to find Glenn, Maggie and the others walking up to the hospital. The group walk out the hospital completely grief-stricken which Maggie starts to wonder what is wrong. 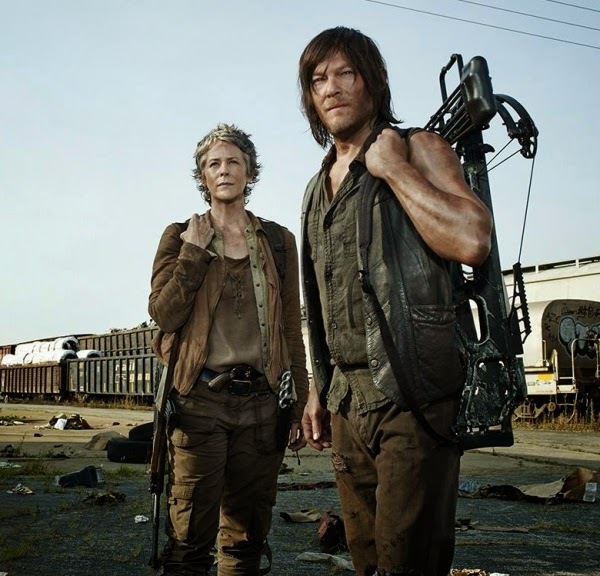 Her worst fears are confirmed when Daryl walks out carrying the Beth's lifeless body in his arms. Maggie collapses to the ground as she cannot cope with this horrible end to a long day. 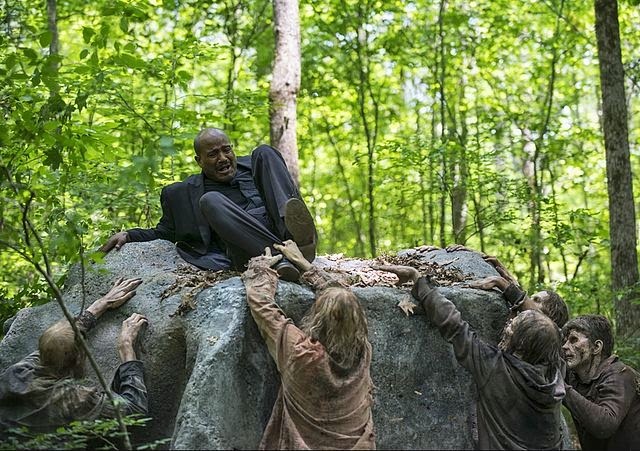 The episode ends with Morgan, who we first saw near the start of The Walking Dead. He stumbles upon the church, which is now clear of walkers. 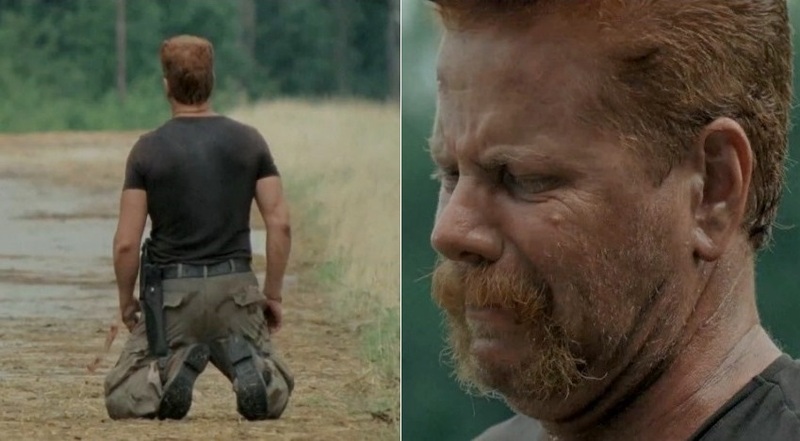 He finds the map that Abraham left for Rick, asking him to come to Washington. Morgan realises he must be close to finding Rick which inspires him to continue! That's it for this episodes round up! Now its the mid season break we have to wait until February next year to find out what happens. 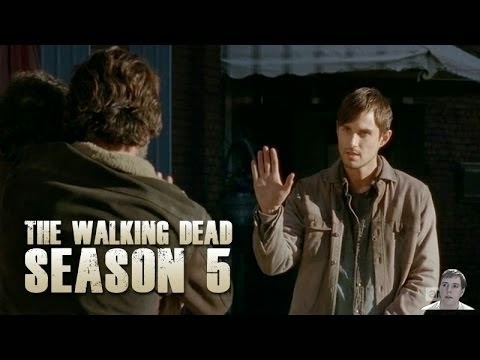 I hope you have enjoyed my round ups so far and I will see you in February when we get The Walking Dead back!